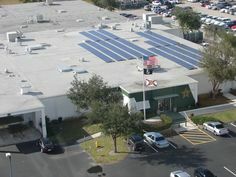 The most complex financial analyses that solar dealers need to perform are for grid-interactive solar electric systems. The number of variables makes an accurate and reliable analysis difficult to provide to potential customers (investors). However, there are plenty of models out there to give us an idea of the realistic investment returns a system owner can expect. Some are simplistic, while others are tremendously sophisticated. The key is to ensure that the inputs are realistic and accurate. The first kind of analysis, the one that most people ask for, is the payback. Many people, myself included, are critical of this metric, primarily because it is not intended to measure the type of investment profile provided by a solar energy system, and the result is not particularly useful unless put into context. Unless you are comparing this metric to another investment option with similar costs, term, and risk, the results can be misleading. In addition, the concept only works for investments where there is a single cash outlay at the beginning of the investment with a simple stream of cash returns. You cannot calculate the payback for a system that is financed with no money down, because there is no single initial cash outlay. What is the payback on a 10-year CD? The answer is 10 years – the stream of cash flows from annual coupons will never come close to paying back the initial investment. The investment is only paid back when the principle value is returned at the end of the term. Many people gladly invest in CDs with 10 year payback periods, but balk at the thought of a solar energy investment with a 7 year payback. The context is not the same, and it illustrates why payback is not a reasonable metric to use, at least on its own, in deciding whether to invest in a solar electric system. Many solar models available will provide a payback period in number of years and months, and I don’t understand why. The cost of utility electricity in the future. Rebate and incentive amounts and time of receipt. 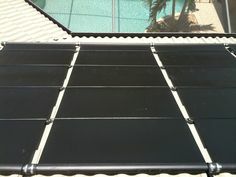 Degradation of solar module performance. Cost of capital on variable rate financing. Cost or benefit of waiting to make investment. The price being offered for the installation of the system. The cost of utility electricity today. Cost of capital on fixed rate financing. The average cost of utility electricity the system can be expected to offset initially. The warranty on the system components. The longevity of the system. Obviously there are a lot of factors at play. We can use historical data to narrow the risk in making assumptions. However, we also need to look at the future possibilities that cannot be determined by the past alone. For example, what do you expect your tax rate to be in 15 years? If you expect to be making more money and enter a higher marginal tax bracket, the cost of paying for electricity with after-tax income becomes greater, and reducing your utility electric bill would be very smart. If you are entering a period of fixed or reduced income, you may lose out on some of the tax benefits, but you may also be subject to higher risk of inflation and escalating utility electric rates, making the stability of low or no electricity bills very attractive. 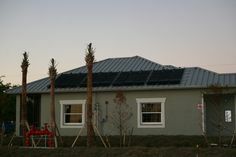 A solar financial analysis will give you a good idea of what to expect from an investment in a solar electric system. Just like any investment analysis, assumptions are made and there is a degree of risk involved. Fortunately, many of the factors make the investment less risky than alternatives, and a good case can be made for solar electricity more often than not. When looking at this type of investment consider your current situation, your future scenarios, and the comparative risk of a solar investment. Don’t use payback as a deciding factor without putting it into context. Use return-on-investment as a comparative metric versus other investment alternatives with similar risk profiles and time horizons. Regardless of what you decide, know that a solar electric system will provide a reliable source of energy production to offset you utility usage, which is the same thing as saying you will have a reliable after-tax stream of income for the next 25+ years! Someone asked my why we only have a fairly good idea about the warranty. We know what the warranty is today, but that’s only as good as the company backing it. We have seen major manufacturers go bankrupt (i.e. Evergreen Solar), and the status of warranties become unclear. In the case of module manufacturers not honoring a warranty, the likelihood (risk) of a solar module not meeting production expectations or failing due to poor workmanship is extremely low. Most warranty issues are seen with the electronics, specifically inverters. Fortunately, some manufacturers are coming out with 25 year warranty on the electric components as well, further reducing risk. Unfortunately, risk cannot be totally eliminated with a warranty. One strategy undertaken by some manufacturers, like Canadian Solar, is to back the warranty with an insurance policy that covers potential warranty claims even if the company goes under. This strategy is creating peace of mind for consumers and investors.